As a devoted gluten-free eater and unfortunate sufferer of IBS, I'm always interested in learning more about gluten, how it affects my condition and how I can keep myself as healthy as possible. A few months ago, I heard about a book called "Wheat Belly" by Dr. William Davis. I thought the title was funny and decided it might be a good read for me. It might be nice to read about gluten from a doctor's perspective. I grabbed the book at my local Chapters and got reading! 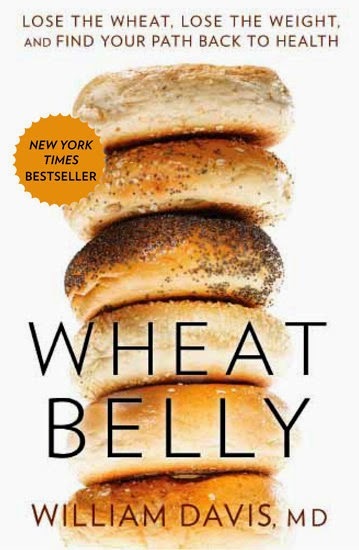 Wheat Belly is a provocative look at how eliminating wheat-even so-called healthy whole grain wheat-from our diets is the key to permanent weight loss and can offer relief from a broad spectrum of health and digestive problems. I definitely jumped into this book with both feet (or should I say both hands? eyes?) This is the first book that I've read that talked about being gluten-free and I was really excited about learning more about what it means to be gluten-free and why it is so important. From the very beginning of the book, it is extremely apparent that Dr. Davis is serious about the issue of gluten and has had many experiences with patients who have greatly benefited from removing gluten from their diets. He is honest (brutally honest at times), knowledgeable, aggressive in his viewpoints and filled with sincere disgust for gluten. He in no way tries to sugar coat how harmful and health altering it can be. In my opinion, this book is best suited for those who are already living a gluten-free lifestyle. There is a lot of information presented in this book - some very technical and from a scientific perspective and others from a more experience based perspective. If you are new to the idea of going gluten-free, this book may not be the best place to start. I would sit in bed at night reading this book and on so many occasions found myself saying out loud "Oh my God.. that's so true!" or "I feel like that sometimes, I never realized that it could be due to the gluten". I would stop my fiancee from watching tv to read to him the newest insightful passage I had just read. This book literally blew my mind. 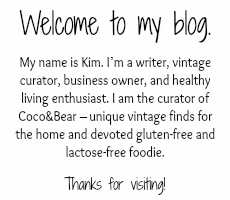 It made so many personal connections for me as someone who has suffered so many of the unfortunate side effects of gluten for so many years. In the end, although this was a heavy read (a lot of technical information to take in), I really enjoyed the book and ended it feeling so happy that I had removed gluten from my diet. It really helped me to link so many of the health issues that I had struggled with for so long to gluten. I wish that I had realized it sooner, but without gluten now, feel amazing and am living a very healthy and happy life.